In 2010 China overtook Japan to become the world’s second largest economy, marking the beginning of a new era for China. Despite this, the wealth gap has become increasingly prominent in recent years. Just earlier this month China recorded its widest wealth gap since economic reforms began in 1978. According to the National Bureau of Statistics, the average annual income in China’s cities stands at more than three times the average income in the countryside. 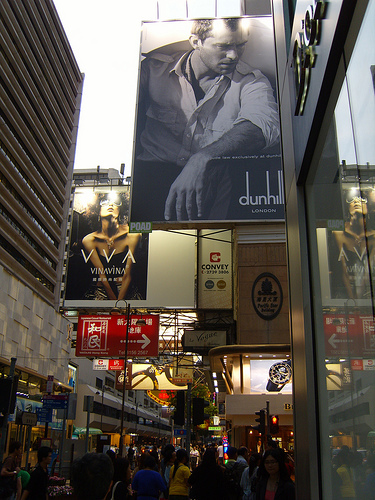 China recently announced that reining in inflation was a priority for 2011, and just today news emerged that Beijing is to introduce a ban on all outdoor advertising that seeks to promote high-end lifestyles, suggesting that there is concern among the country’s leaders about the need to rebalance China’s economy. The Beijing Administration for Industry and Commerce said in a recent statement relating to the ban, that businesses have been given a deadline of 15th April to rectify such ads, along with any that excessively promote “foreign” things, claiming that such promotions help create a politically “unhealthy” climate. Newly forbidden words include “supreme”, “royal”, “luxury” or “high class”, which are widely used in Chinese promotions for houses, vehicles and wines, it said. This may pose a problem for luxury brands wishing to advertise in Beijing, but as I have mentioned in previous posts, the surge in China specific e-commerce platforms, and emerging use of social media for marketing luxury, would suggest such brands will instead simply switch tools to continue benefitting from China’s growing wealth. 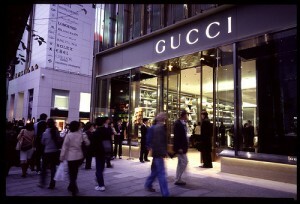 While it can perhaps seem distasteful to discuss stocks and shares in the aftermath of a humanitarian disaster, the impact can be significant, and when the disaster has hit a nation such as Japan which is said to account for 23 per cent of the global market for luxury goods (according to MF Global), it can have severe implications for exposed brands. In an understandable reaction to Friday’s crisis in Japan, Japanese investors dumped stocks: Japan’s Nikkei .N225 shed 10.6 per cent on Tuesday. The UK’s stock markets fell a fraction of that amount, but luxury names suffered. Shares in some of the world’s biggest luxury goods companies fell amid concerns that high-spending Japanese consumers will, at least in the short-term, stop shopping. Burberry was down 6 per cent in Monday morning trading; Japan accounts for 7 per cent of Burberry’s sales. In Paris, shares in LVMH, which relies on Japan for 9 per cent of sales, were down more than 3 per cent, while Gucci and Yves Saint Laurent owner PPR, which relies on Japan for 16 per cent of sales, was off nearly 2 per cent. Having experienced limited growth during the past decade, luxury brands have shifted attention from Japan to emerging Asian markets such as China, but as the above numbers show, Japan is still crucial to many of these companies. With the world’s attention now focused on a potential nuclear disaster, analysts have suggested that luxury spending may be curbed for some time. “While not all parts of the country were equally affected physically, recent events will almost certainly dampen the consumer mood,” Nomura Securities analyst Paul Lejuez said in a research note. The worry for markets now is that the disaster will affect buying and shoppers’ likelihood to spend elsewhere. Luxury sales depend on people’s confidence; if the crisis continues to develop in Japan this could effect spending on a global scale. After the Christmas break, many luxury brands, including Swiss luxury watch brand Richemont, and Rolls Royce, have announced record sales increases. In the US, the Telegraph reported a few weeks ago that while luxury brands are on the rise, discount stores are seeing a slower pace of growth, and in the UK, a similar trend was witnessed that saw consumers preferring to pay more for just one present rather than buying enormous quantities of presents. 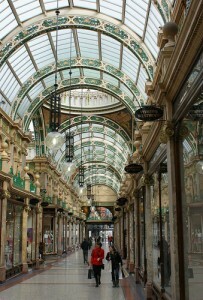 The pattern emerging in the UK shows a preference for trusted luxury brands over high street offerings. 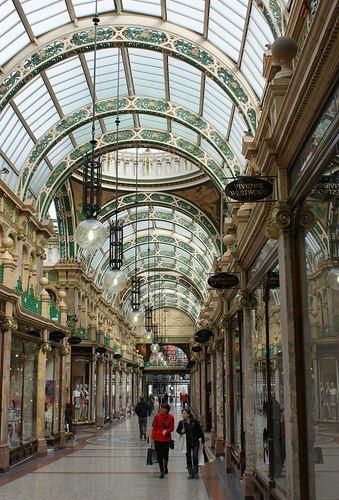 In the age of “Austerity Britain”, retailers have seen consumers buying with a Victorian style of generosity – spending more on one main present. Items such as Apple iPads, iPods and the Amazon Kindle were along the Christmas bestsellers, with upmarket department stores like John Lewis and House of Frazer drawing in the cash. In an interview, consumer behaviour specialist Henry Enos explained, “People are looking for value for their money. People have been made to realise that money issues are prevalent, so what people have gone to in times of uncertainty are tried and trusted brands.” With more of a limit of their spending, people plan their purchases more, and spend wisely on items that guarantee durability and value for money. For those brands that tick the boxes of traditional, tried and tested, their resilience and dependability is the main attraction to the consumer. Brand heritage is key. For the Theta personality, the emphasis on the context of the product – it’s brand name, the connotations it has in society and the legacy it has achieved – are the points that persuade someone to purchase it. Yet also, the heritage of a tried and tested product is built up through performing well and showing its resilience and in this way, the quality and durability of the product appeals to the Lambda personality. Whatever causes us to purchase a product, it is apparent that as conscious as people are of the need to curb their spending, they are setting their sights higher on the familiar, more expensive brands that have proven to stand the test of time. Plus, when money is tight, quality rather than quantity may help consumers feel upbeat when all anyone around them talks about is the slump. Are the en-masse skills of big advertising agencies not suited to the refined marketing objectives of luxury brands? This is what the Chief Executive of Clarins, the maker of high-end cosmetics and skin-care products, has suggested with his decision to create a new ad campaign internally, and end his work with international advertising house Euro RSCG. The new ad campaign has been created with Guido Mocafico, a photographer well-known for his still lifes, who said he has attempted to show real people and “natural beauty”. Retouching of the photos was limited to two hours maximum, to “keep this real aspect” of the models. This is in contrast to the campaigns produced by large advertising agencies who show “big stars, retouched”, he said. Philip Shearer, Chief Executive, explained that after 30 years in the industry, having worked with various agencies, a change was needed. 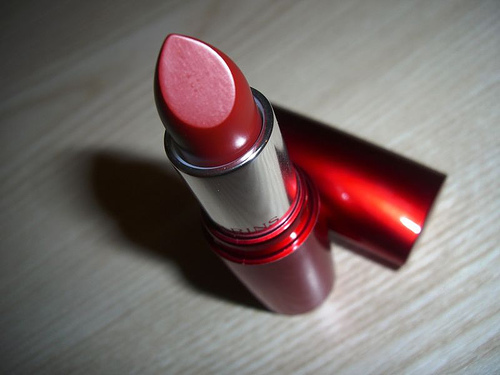 According to Clarins, a luxury brand needs more individuality and precision in its marketing, and would benefit more from a campaign derived from “the relationship between an artist and an owner”, as Mocafico describes it. Having gone private in 2008, just before the financial crisis erupted, this latest move to produce its advertising campaigns privately as well shows an emphasis on making Clarins a unique, independent name. Opting out of the mass-produced cosmetics ads that may not differ greatly between brands, Clarins intends to make its brand more identifiable and is doing the creative thinking inside the business, where affiliation with the brand is stronger than in an outsourced advertising agency. For Lambdas, the Clarins ad campaign may appeal due to the aspect of differentiation and uniqueness of the ads, and the thought put into the work. Thetas too would be attracted to the campaign, but rather for the sense of “a cut above the rest” that derives from such an advertising strategy. 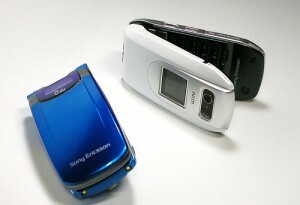 I recently read an article that claimed luxury brands hadn’t yet exploited mobile as a channel to reach consumers. While perhaps unsurprising to many, in an austere age surely even the most luxurious of brands have had to re-evaluate their operation and seek out every potential avenue for increased sales and enhanced customer loyalty. A recent rep ort by Brand Anywhere and Luth Research Inc. in the US, found that web retailers could increase consumer engagement 85 percent by having a mobile-specific Web site. Furthermore, with luxury shoppers traditionally being early adopters of new technology, including smartphones for example, that luxury brands are lagging when it comes to providing a seamless mobile experience should perhaps be a concern. Luxury brands have generally shied away from channels that don’t offer a personal service typically associated with their higher price tag. However, an interesting observation is made in that through mobile, a more intimate interaction consistent with a consumer’s perception of that brand may be had than in a bricks-and-mortar store. Shoppers are not only now using mobile phones to make purchases though but also to perform research prior to purchasing. It’s not just the traditional price comparison either, while still powerful, the criteria many consumers base a purchase decision on is evolving. Barcoo is a new mobile app that enables consumers to scan the bar-code of a product and will then instantly provide access to that brand’s environmental, social and ethical credentials. Whether it be to research a purchase, or subsequently to make it, with the advance of technology there is no doubt mobile will play an increasingly important role in consumers’ brand experience and should not be neglected by any brand. 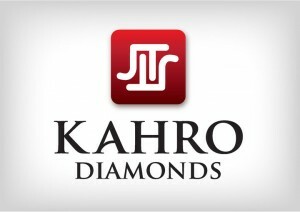 Janus Thinking is happy to announce the launch of Kahro Diamonds. 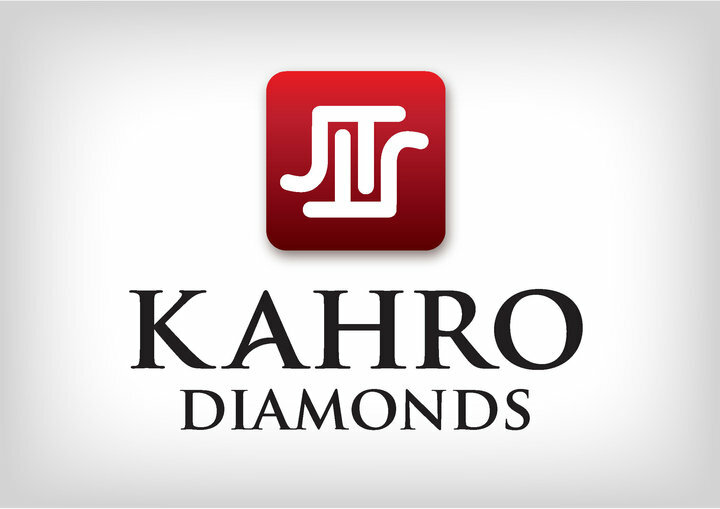 Kahro Diamonds is about the uniqueness of people and the power of diamonds. We put the fun and enjoyment back into diamonds by assisting you to find that diamond that truly represents who you are. A diamond should reflect your personality, worldview and values. Our mission is to help you find the right diamond through this unique approach, using tools exclusive to Kahro and based on the logic behind Janus Thinking. Kahro Diamonds enables our customers to connect with the “right” diamond, which helps them connect to the past and present as well as to their values and desires, whether it is for a once-in-a-lifetime proposal or simply a well-deserved treat for oneself. Visit the Kahro Diamond Facebook page and take our quiz to see what kind of diamond might suit you! If you like the page, become a fan and check back for more interactive games on the site. Manolo Blahnik, the luxury shoe designer, has revealed that he has never quite understood the reason for his brand’s success, but that “timelessness” could be the winning formula. This idea about the timelessness of his shoe is interesting. Luxury is, for Thetas, often affiliated with an investment in a product that transcends seasonal trends. Thetas seek things that inherently represent a lot of time, which is where their love for antiques derives from. The Blahnik shoe would definitely hit the mark for them. For Lambdas, the “time” aspect of luxury is associated with the process taken to create the product. Whilst the “timelessness” of Blahnik’s shoe may not be the central appeal for Lambdas, they would like his shoes too, attracted by the time and precision taken over crafting the shoe. The secret of Manolo Blahnik’s success, it would seem, is that his shoe fits the concept of luxury for both Lambdas and Thetas, whereby the idea of “time” is both product-related and process-related. Here’s a nice video from Rapaport previewing New York’s Fashion’s Night Out, an event occurring later tonight in New York that celebrates the work of a number of the city’s jewelers. The video also covers a few corporate responsibility issues, including Ivanka Trump’s work with the United Nations Foundation’s Girl Up campaign and Donna Distefano’s fair trade initiative that ensures her jewelry is free from associations with environmental destruction or human rights violations. Just wanted to leave a quick ‘thanks’ for your blog and your posts. I just discovered it today, but I’m enjoying reading it, and I’ll be back again soon. 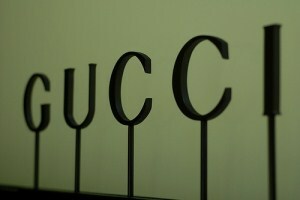 Is the luxury logo key to a product’s success? Two recent studies have found that for many luxury consumers, (1) an item’s quality is more important than its use of obvious logos and (2) luxury brands charge more for items with more subtle logos. One of my favorite fashion brands, Bottega Veneta, really takes this to heart. Their goods are made with extraordinary craftsmanship and materials, and never display a company logo. The prices match the quality. For example, they offer a pair of flip-flops, or “basketwoven leather thong sandals“, for $396. Most people wear $10 flip-flops for a summer and get a new pair each year, whereas these Bottega Veneta basketwoven leather thong sandals will last a lifetime and will only improve with age. Perhaps only a few people will notice this level of quality, in sandals or other garments, but those that do form a very exclusive club which many Thetas and Lambdas would aspire to be part of I think.